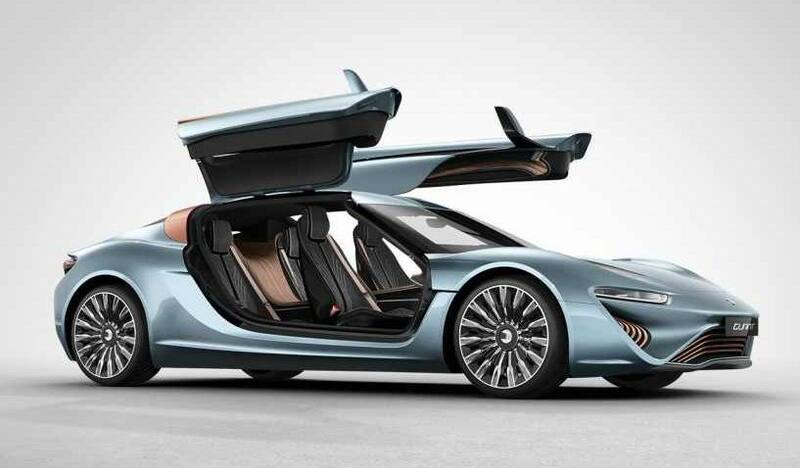 The saltwater-powered Quant e-Sportlimousine, having been certified for use on European roads, now threatens the monopolies of both the Oil Cartels and the global Hybrid and Electric automobile markets. Historically, the Oil Cartels have been actively harassing and silencing alternative energy inventors who pose a threat to their monopoly. The greatest petro-free breakthrough came from Elon Musk’s independently funded development of the TESLA brand all-electric automobile in America which has gained significant traction over the entrenched Hybrid types. Now, it is TESLA that is threatened by the energy-liberating Quant that is powered by simple saltwater, and not tethered by any electrical charging cords. The Quant is a very slickly designed Luxury Automobile. It’s got a motor at each wheel, gullwing doors, makes a Fisker look like an AMC Pacer, and can go from stationary to 60 MPH as fast as a GT-R. Unlike traditional cars that run on gasoline, the e-Sportlimousine built by the German company Quant runs on an electrolyte flow cell power system made by NanoFlowcell that has the ability to generate an astonishing 920 horsepower (680 kW). Essentially a very high-spec electric car, the e-Sportlimousine uses a motor per wheel to give it AWD with torque vectoring, and each of those motors makes 227 HP, giving a theoretical total of 908 HP. The Quant’s electronics system caps the operating power at a very healthy 644 HP. This saltwater powered car can go from 0-62 mph (100 km/h) in 2.8 seconds and has a top speed of 217.5 mph (350 km/h). The peak torque numbers, however, are allowed to remain absolutely bonkers, at 2138 lb-ft PER WHEEL. Which means 8,552 lb-ft total. These numbers are impressive, but the part of this car that could actually prove genuinely important is the use of what’s called a flow battery. Flow batteries, specifically the redox-type, were patented by NASA in 1976. More specifically, the Quant uses a nano-network flow battery, which is why the company is called nanoFLOWCELL. The energy density of the battery is enough that the Quant is claimed to have a range of 200-300 miles or so. And, perhaps even better than range, unlike traditional chemical batteries, to recharge the battery, you only need to replenish the electrolyte, which, in this case, is just saltwater. The size of the electrolyte tanks affects the overall range, and refilling them should be a quick and easy process akin to fueling up a conventional gasoline car. The electricity from the flow battery is then stored in a pair of huge capacitors, which the electric motors then draw from to turn all that electricity into speed. Being independent from plug-in electrical charging, the Quant is not immobilized by charging station inaccessibility, power shortages, or solar inadequacies. This is a major advantage to widespread American consumer acceptance, as the typical electric car popularized by TESLA requires dependence upon a special electrical outlet that must be installed by the consumer or is available from a sparsely located charging station network. The simplicity of saltwater recharging overcomes this distinct challenge, extending the travelling distance and consumer reluctance altogether. The design of the e-Sport Limousine is quite striking, with gulling doors, flowing lines, and maybe one of the nicest grille designs seen in quite a while. 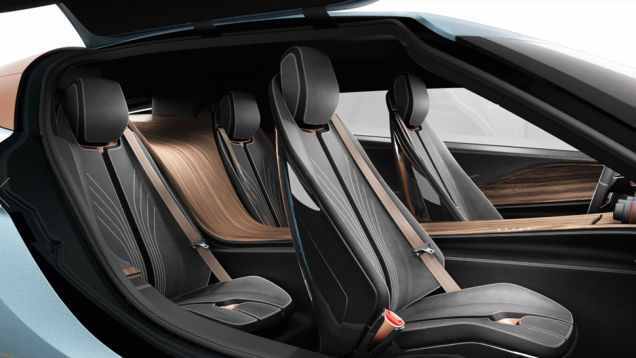 The four-seat interior is equally strong, with flowing wood and trimmed richly hued leather. The car is complete with the latest technology, and even comes with a universal SmartPhone Dock to integrate driver preferences and a superior hands-free [safer] driving experience. Now the company has an actual registration plate from the German TÜV Süd in Munich, they can start making cars to legally drive on public roads in Europe. It won’t be long until they are approved for the American market, where it is believed they will quickly overtake the entrenched Hybrid and Electric markets.